If your factory is like most factories in Durban, chances are you’ve got boxes of stuff piled up the rafters. There are ways and means of accessing these up-top items, like setting up ladders or climbing the shelving, but are these the safest solutions? Nope, not even close! With a scissor lift, you can access the top shelf safely and bring down to ground level whatever it is you need – regardless of how heavy it might be. Depending on where your factory is situated and the height of your building’s gutters, you could use a scissor lift to access the roof. This makes clearing out gutters and pressure-cleaning roof tiles a breeze, and nobody has to climb a ladder! What’s more, instead of having to climb up and down ladders as you move along the gutters – you can move the scissor lift while still on it! Every now and then, when you least expect it, you’ll find yourself in a slightly darker situation than before. Lightbulbs die for a range of reasons, and we have no choice but to replace them. What we can choose is how we replace them. In a factory situation, the best way to replace lightbulbs is with a scissor lift! Be sure to check the height limits of your rental scissor lift before committing. Exposure to the elements isn’t great for any building, anywhere, and can lead to minor damage caused to your building’s paint job. A factory needs a new lick of paint every few years, so if you’re planning on refreshing your building’s look in 2019, rent a scissor lift and make your life so much easier! It can be used to access hard-to-reach areas both indoors and outside, and will save your painting team much time and energy! From time to time you’ll need to elevate more than one person within your factory. Ladders are great for allowing an individual to get up high, but what about when you need two or more people to, say, get something heavy down from a high storage space? The solution is a scissor lift rental, which can elevate a whole team of workers at once without breaking a sweat. The last scissor lift application we’re looking at is for outdoor landscaping around your factory. You might need to shape hedges or fell trees here and there. This type of outdoor maintenance is effortless with a scissor lift, as it can be moved from indoors to the outdoors in a matter of seconds. What’s more, electric scissor lifts are very quiet, so there’s no chance of you scaring away the birds! Regardless of what you want to use a scissor lift for, chat to Sean or Rory at Need-A-Tool about a scissor lift rental today! 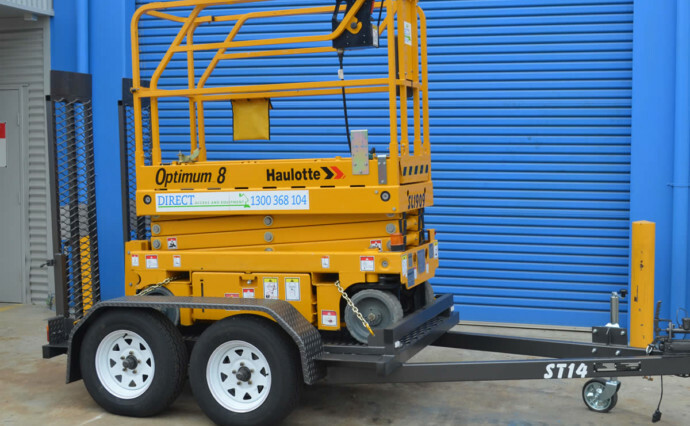 The rental process is very easy to facilitate, and if you’re in Durban – we’ll even deliver the scissor lift to your site.